OCR, Optical Character Recognition, is a fancy way of saying that your computer or, in this case, your smartphone can photograph and then interpret written text, spitting out something that can be copied into a document, email or otherwise shared or used. 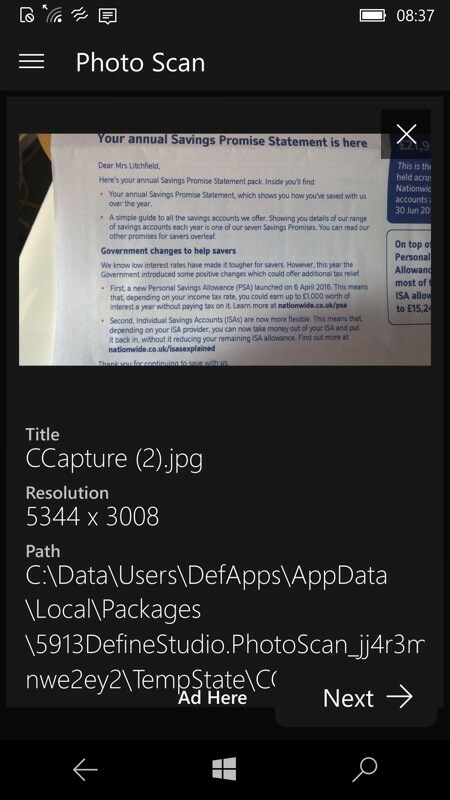 Photo Scan is a new UWP that works rather well. 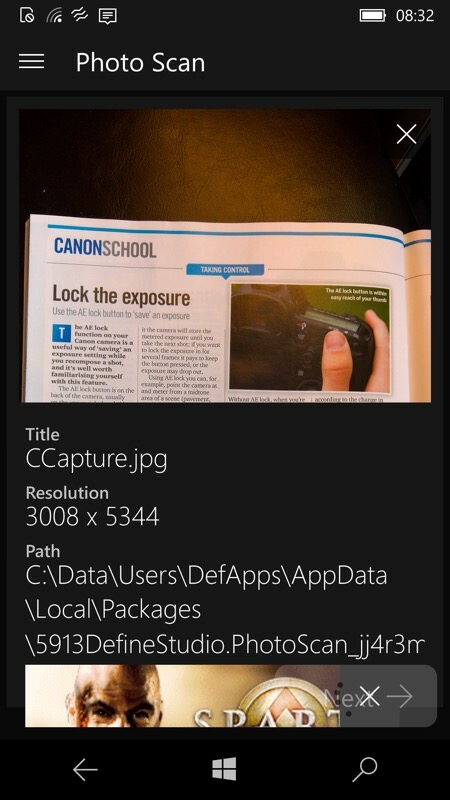 Define Studio Presents Photo Scan for Windows 10. As the name suggests the Photo Scan lets you extract text from Images or Photos very easily and efficiently! It can help you in many scenarios like you want to copy number or very long Important text that is in Image but find too hard to write it? 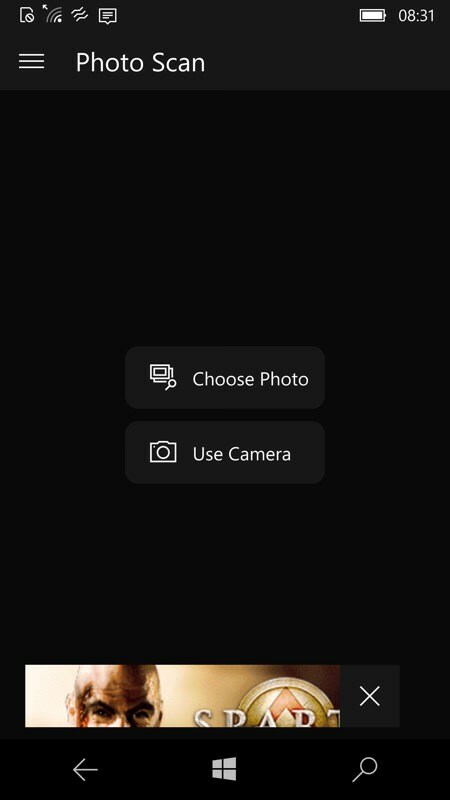 well with Photo Scan you now just scan your photo and we will give you the Text which is in Photos and then you can do anything you want to do, like saving it to a document, copy, share etc. 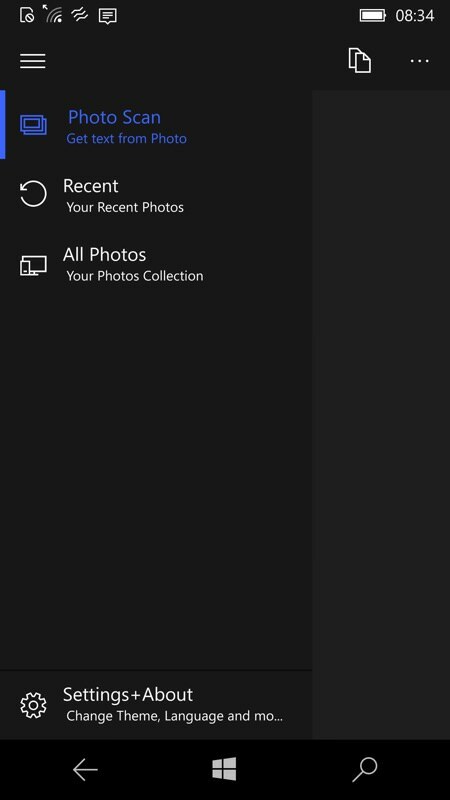 Photo Scan is a beautiful app made for Windows 10. It's Clean, fast, light-weight, flawless and more! You can always give Photo Scan a go and I am sure you will love it! 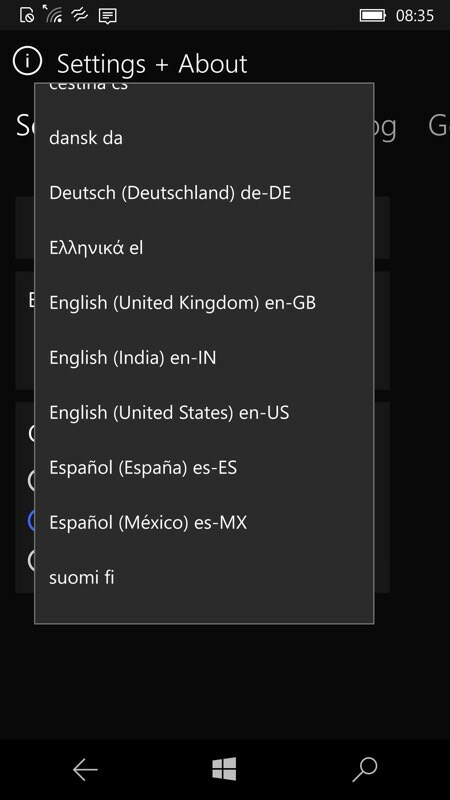 My guess is that they're using a third party OCR engine of some kind - the range of languages supported is so vast that it surely has to be part of a big project - there are several candidates, though none mentioned in the application itself. It's impossible to conceive that a v1.0 OCR application like this could otherwise work as faultlessly as it does. Having said that, credit to the developers for packaging the online functionality so compactly and smoothly - Photo Scan is a free application monetised through banner ads, which can be removed for a one off £1.50 IAP, which is fair enough. 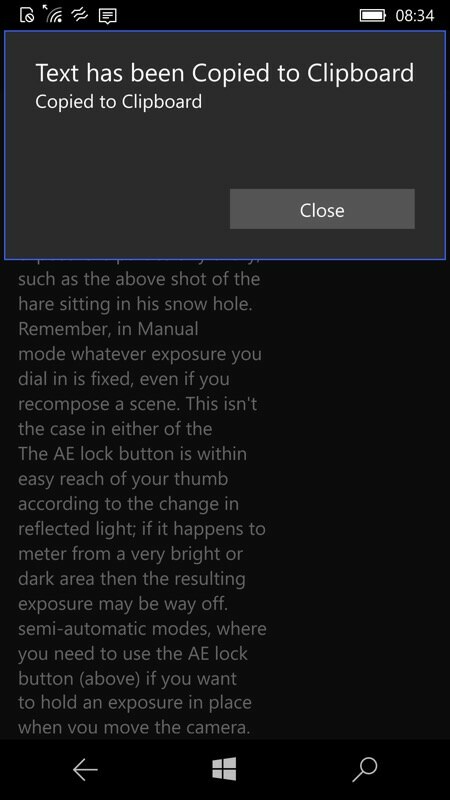 It's quickly grabbed and confirmed, at full resolution - here 16MP on myLumia 950; (right) tapping 'Next' immediately brings up the OCRed text. It's nigh on perfect, albeit broken up according to the multi-columns on the original page - so a little rearrangement would be needed for real world use! 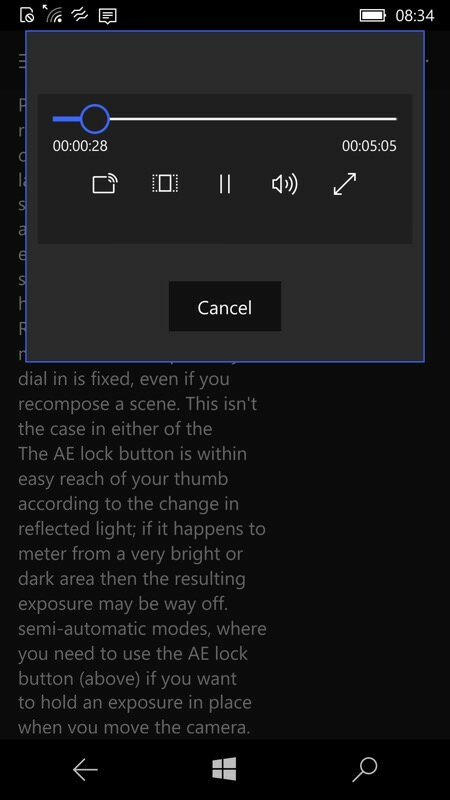 One of the interesting options is asking to have the OCRed text read out aloud immediately - potentially a time saver, though there's a pause after every line, which gets a bit irritating; (right) more useful is copying the OCRed text straight to the Windows 10 system clipboard. The hamburger menu allows access to a history of past scans; (right) hundreds of output languages point to the use of a heavyweight Internet OCR engine. 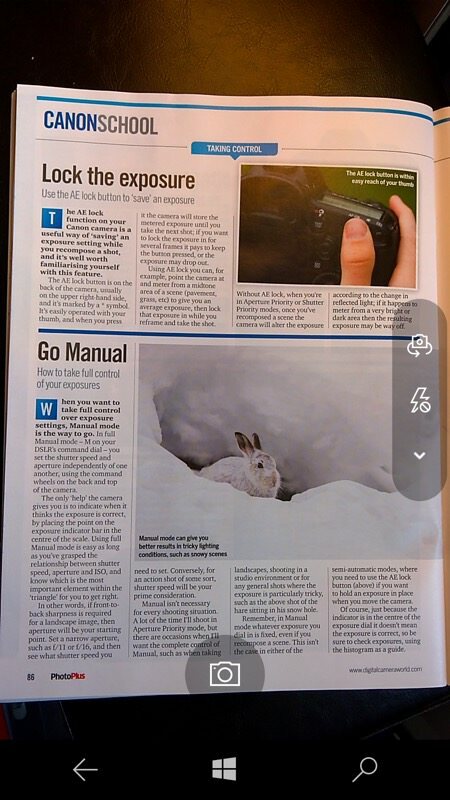 Photo Scan seems to be just as happy with the scans in landscape mode; (right) again showing perfect OCR results. 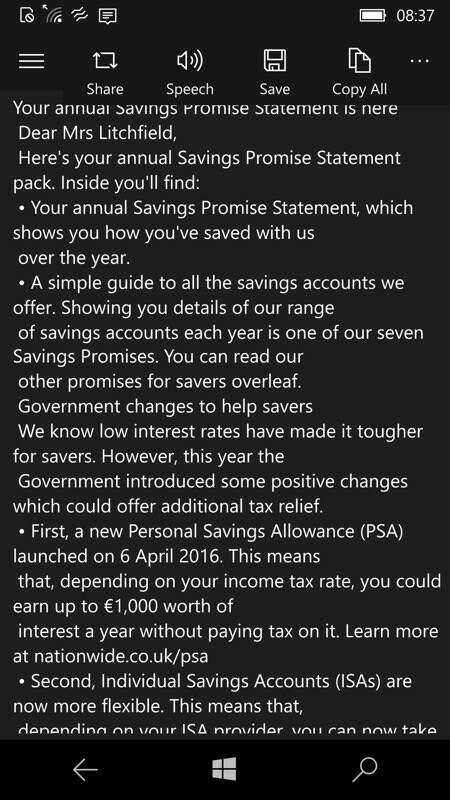 Well worth a look if this is something you need to do. 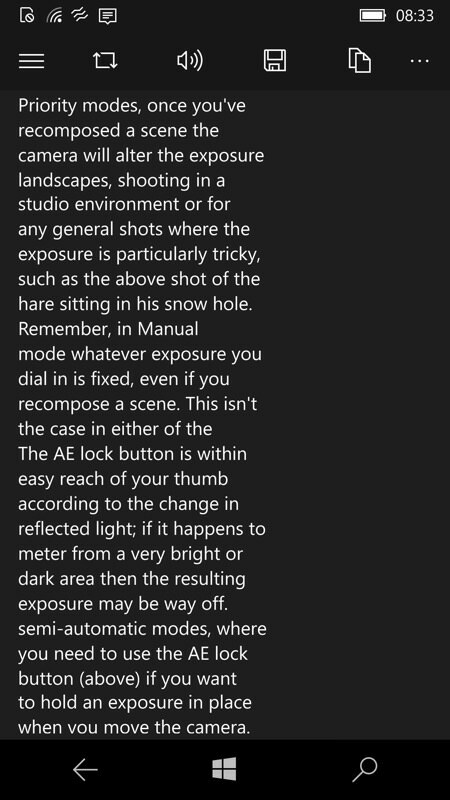 And worth noting that it's a full UWP app and works just as well on a tablet or laptop - camera permitting, arguably the high spec phone camera makes all the difference here (I was using a Lumia 950).